Rev. 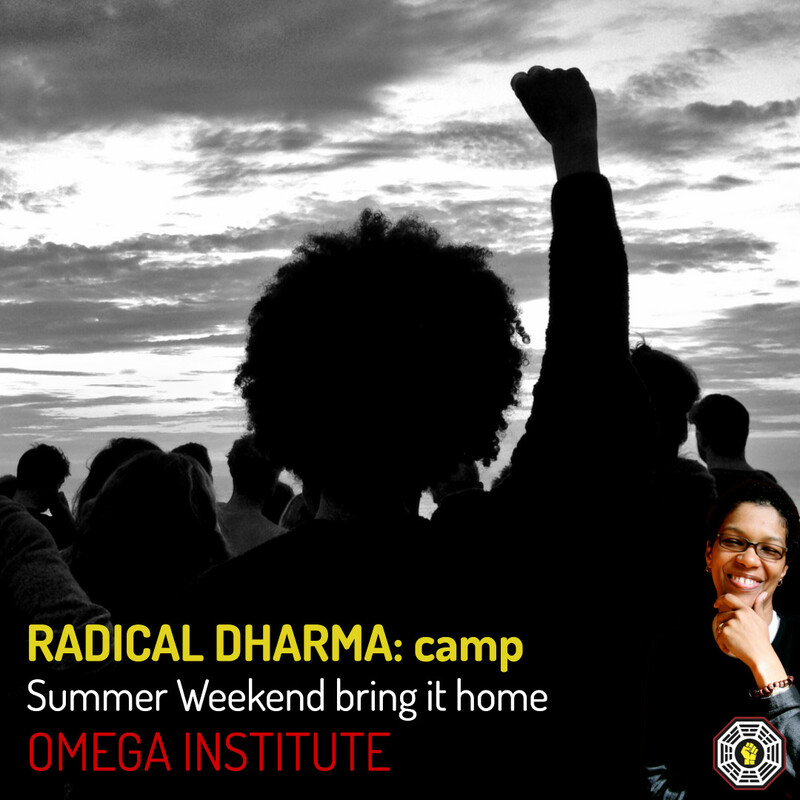 angel Kyodo williams will be one of the teachers of the Radical Dharma Camp by the Omega Institute. “The Radical Dharma Camp challenges you to be present to systemic suffering and injustice and helps us become true agents and accomplices of change. The Radical Dharma Camp does what no other path for addressing systemic racism and oppression does: It rigorously challenges you to be present to the systemic suffering and injustice that resides within you personally in spacious, redeeming, and even fun and irreverent ways. Through conscious sharing, dynamic discussions, and playful group activities, we gather to connect the dots, hone our skills, and deepen our practice of noticing, naming, and reclaiming our personal, social, and historical narratives on behalf of justice for all. We strive to put our current reality in context so we can educate and empower our families, circles, communities, and congregations and become true agents and accomplices of change.